The recent NAS mini-furore has inspired a bunch of bloggers, with the EWB post that kicked things off picking up a response from me, Oliver Klimek over on Dramming, Cask Strength, Gal and also my usually silent chum Jason B Standing. However, it’s also pulled out an anonymous post from the travel retail sector that appeared on Gal’s blog and now this – another anonymous post. There has been a great uproar in the world of whiskey lately, decrying the evil of NAS (No Age Statement) whiskies. The outrage is aimed at a perceived lack of disclosure of what is in the bottle, and argues that makers are greedy and taking advantage of consumers by selling bad whiskey by hiding the fact that the NAS whiskey is “young” and therefore bad. To be sure, disclosure of the contents of the whiskey in the bottle is good, but the lack of age statements for NAS whiskey is just a part of the lack of disclosure. In fact, we would argue that by disclosing only one piece of information, whiskies bearing an age statement mislead consumers far more. The illusion of more information is not the same as actually providing more information. Whiskey is a magical and mythical beverage. Occupying the border between art and science, the taste and texture and sensation of whiskies can range from the sublime to revulsion. These characteristics are affected by a very large number of influences – and everything matters. As we note around the distillery, there is literally nothing that we do which does not affect the flavor of the whiskey in bottle. First, the most obvious characteristic affecting flavor is type and class. Luckily, there are no jurisdictions that we know of that do not require a label to disclose whether the spirit in the bottle is whiskey, or vodka, or Scotch, or Bourbon, or Irish, or Rum, or on and on. This information is a bare minimum – but really does not tell the consumer much – literally, just the bare minimum. Ditto with the alcohol content in the bottle. Is the whiskey bottled at 80 proof, 40%? Is it at an elevated 90 proof, 45% ABV? Certainly, the ABV in the bottle affects its flavor, and the consumer can feel free to add water if the ABV is above their personal preference, or mix cocktails, or do as they wish. But ABV affects flavor, even if this characteristic is less well understood than class/type. Next, the brand provides extremely valuable information about the liquid in bottle. The brand name tells the consumer, at least theoretically, the source or origin of the whiskey in the bottle. This is, sadly, not always accurate in whiskey (see anything produced by MGP….) or lots of bourbon brands (how many brands of bourbon are produced by Heaven Hill?) but at least brand gives a consumer a place to begin. The lack of honesty in the source of whiskey is far more damning to the whiskey business than NAS – complaining of NAS in a world of smoke and mirrors is a bit odd. When the consumer figures out that they can buy Brand X for $5 less than Brand Y and it’s the same liquid, the whole industry loses. When consumers find out that a well known brand of “American” rye is actually made in Canada and only bottled in the US, the whole industry loses. Brand can be the best indicator of what is in the bottle – someone, somewhere had to decide to affix their name to the product, whether it is a plastic handle or whether it is the newest release of a cult whiskey, or bulk whiskey bought from MGP or Alberta. And, at least in theory, the person putting their name on the bottle ought to care what is inside – even more so than the consumer. Age statements can provide valuable information about the contents, of course. 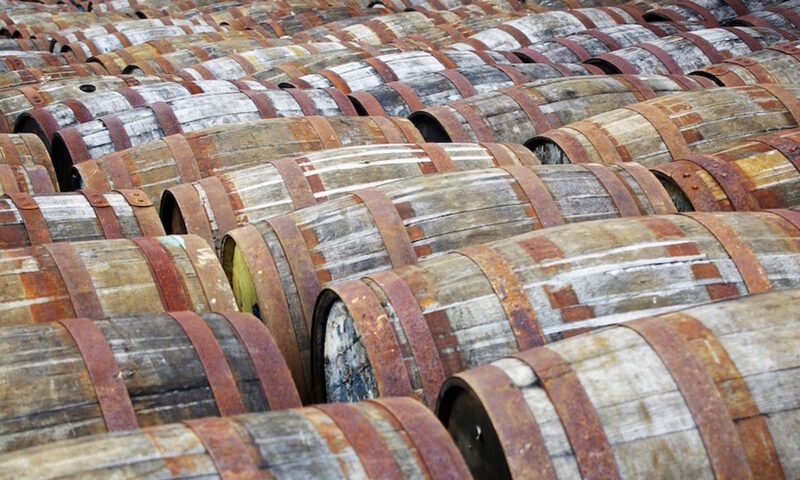 How long a whiskey sits in a barrel has an undeniable effect on flavor and character. Nobody, and certainly not me, is likely to argue that the time in a barrel is not relevant to the character of the whiskey. But, no matter how important age is, there are numerous other factors that are as important, if not more important, than age. And when these factors are not disclosed on a label, it can be far more confusing than omitting an age statement. Start with cooperage, but not how long the spirit is in cooperage. The barrel itself has a dramatic influence. Was this barrel new? First fill, second fill, third fill? If the barrel was a new barrel, how was the barrel treated prior to fill – charred? Toasted? Were the ends charred or toasted? Was it toasted prior to charring? What species of oak was the tree – or was it oak at all? How long was the growing season where the tree was grown, resulting in a tighter or looser grain? Was the wood kiln dried or air dried? If the barrel was a first, second, third fill, what was previously in the barrel? Bourbon? Rye? Wine? Scotch or rum? Something else, like honey or maple syrup? Where was the cooperage stored – hot or cold? Humid or dry? Air flow or little airflow? Any finishing barreling? Each of these characteristics will have impact on the spirit. Now that we have all of the cooperage information, lets start disclosing information about the spirit itself. First, how is the spirit filtered, if at all? Charcoal? Plate and frame? What sort of filtration pads were used? Most importantly, was the spirit chill filtered? Was the spirit filtered through charcoal before aging (as in Jack Daniels) or after? Both? I can not overstate how dramatic filtration techniques (or lack thereof) can affect the spirit. Next, what is the barrel entry proof/ABV? Adding water to attain bottling proof is common (with the exception of cask strength releases, but lets leave that aside here). Some people find the whiskey improved with lower barrel entry proof, but there are limits. Was the entry proof 124.99 or 120 or 115 or 100? The lower the entry proof, the better the whiskey, but this improvement in the whiskey adds dramatically to the cost of its production. Since many people justify the need for age statements to justify price, entry proof can be just as important cost-wise. Now, what is the proof off the still, and even more specifically, was this produced on a continuous still or a batch? The higher the proof, the lower the grain flavor, and the more the wood will affect the flavor. The lower the proof, the more grain flavor to balance wood affect. Spirit from a continuous still may have undesirable components in the spirit, while the results from batch stills are affected by the cuts made by the distiller. How early/late in the run (for a batch distillation) does the producer collect, and how is are the batches treated prior to barreling? The later in the run, the more volume collected, but the late run can be higher in (potentially) unwanted flavor character. The longer a spirit sits in barrel, the adverse character of the late run can be ameliorated – is the producer putting good spirit in the barrel, or is ‘bad’ spirit going in and just sitting around for years until it becomes not poisonous? If the spirit is coming off the still with undesired components, years of aging are needed. But, if the whiskey in the barrel is truly clean and the heart of hearts, extended aging can result in an overly woody whiskey. Now that distillation techniques are partially disclosed, let’s talk fermentation. How long is the fermentation for the spirit. Many distillers (including myself) believe that the whiskey is made during ferment, not distillation. Obviously, the alcohol is created during ferment, as well as all of the flavor components (congeners, esters, etc), so it stands to reason that fermentation affects the flavor of the whiskey. Was the fermentation done in open fermenters? Closed? Wooden or stainless? Was the temperature controlled in an effort to control the congeners and esters created by the yeast, or was the ferment allowed to heat up (faster ferment, but with stressed yeast creating different flavors)? Was the ferment 36-48 hours long, 4 days? A week? Was the ferment on grain or off grain? What sort of a yeast strain was used? Was the yeast strain optimized for flavor or yield? How is the yeast farmed and monitored? Every fermentation profile will create different flavors. Whiskey begins with yeast, so certainly the yeast itself has an effect. Of course, the mash affects whiskey too. What is the mash bill? How are the grains treated prior to mash? How efficient is the starch conversion, and how complete was fermentation? Were the grains smoked or kiln dried? If smoked, with what sort of smoke? How long was the smoking? Cold smoke, or hot? Where were the grains grown? What species of grain (white/yellow/blue corn, two row or six row barley)? Production of whiskey is exceptionally complex, with a great number of decisions and choices, each of which affects the flavor of whiskey. All of the factors discussed here are a part of the science of whiskey, but the decisions made around them are the art. Whiskey is mystery, and focusing on one element of the mystery while ignoring the rest is not helping anyone. All of these characteristics described in this brief rant affect the flavor of the whiskey – whether you personally like each characteristic is entirely up to you. Flavor is subjective, and the artisan whiskey makers, the whiskey maker who puts their heart and soul and love and passion and blood and tears and everything they have into their whiskey are going to make the whiskey that they want. Raise a glass to honor all of our favorite distilleries, and those we haven’t even heard of yet. Enjoy the whiskey in the bottle, and enjoy it with friends and family. Well written, and very good points here. good work anon & billy. having said that, whisk(e)y is mostly not a single cask, so one can not really disclose all the cask types used in the vatting (be it 1st, 2nd or Nth fill) or wood type. what you’re saying about Bourbons being made in the same place and branded is well known, and this is exactly what some people opposed to NAS want : more visibility (as much as can be achieved, without naming every single cask type of course). all we’re saying : do not hide behind NAS. NAS is certainly here to stay (for the foreseeable future anyway) lets just embrace the good ones. Are we saying that? I didn’t think we were. Anything that’s not a single-cask is a vatting of casks, right? The vatting is designed by the blender to give an overall endpoint (nose, palate, mouthfeel and finish). The recipe varies slightly from batch to batch, because each cask is different owing to the factors listed above. By sticking with an age statement the blender’s limited to what stock she can choose from, even if there might be casks which achieve the exact correct result. Isn’t omitting an age statement a way of having to avoid printing up new labels and communicate minute detail every time? Why hide behind an age statement if it’s only a generalisation anyway? We’ve already got assurance that whisky’s at least 3 years old by definition. There’s nothing stopping companies releasing a 10yo that’s been used to “dump” older casks that might’ve gone past their best or gone below proof. What information is an age statement giving you that your senses aren’t already passing along? Paul Hletko liked this on Facebook. @cowfish @BillysBoozeBlog Is this post meant to be taken seriously? Seems like a sort of masked reductio ad absurdum. This approach to the NAS issue reminds me of the arguments I heard from whisky industry members in the debate if E150a should be mentioned on the label or not. But I do not think we can boil the NAS debate down to a mere labelling issue. The anynymous author calls an age statement an illusion of information because not every other production detail can be mentioned on the label. So we might just as well get rid if it. Philosophically there may well be some truth in it. But now let’s look at this from the other side. Don’t whisky brands lust love to give us random snippets of information on the labels or in their press releases? Only yesterday I read about the use of “heavily charred oak reseasoned with bourbon” for a new whisky. According to the logic of this post, what else then is this other than an illusion of information? Isn’t this just like giving us an age statement only? The whisky makers simply have decided to make age only a selling point for particularly old whiskies. For younger ones, other incomnplete informations have taken this role. Jamie Baxter liked this on Facebook. Jason Almeter liked this on Facebook. In this day and age it seems entirely possible and relatively easy to put the full information out there as described in this post on each brand of whisk(e)y such that it can reach the majority of people who would like to know and not have to make the label on the bottle a novella. Those that don’t care don’t have to be bothered. A good example of a place to start is provided by Ransom Spirits who publish a Tech Sheet for their spirits. The real limiting factor then is making distillers do it. But it seems unlikely they will do so voluntarily and getting any government to do anything that would appear to be helpful seems about as likely as getting the corporate world to do it voluntarily. In the US you can’t even get a DSP (Distilled Spirits Plant) number on each bottle produced. Individual distillers for the most part might be willing to do it but the corporate “suits”? I think not! And of course non distiller producers aren’t going to play along voluntarily either unless there hand is forced. So how do we make that happen? Do we, the consumers, want to make that happen?